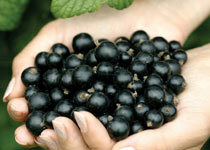 The widest range of fruiting plants available - period! We supply quality stock for planting year round and usually despatch within 3-5 days and often sooner! Stock is bare root during the dormant season, and supplied as container grown or ex-container during the growing season - so you can plant whenever you want to! 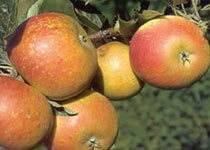 When it comes to buying fruit trees it pays to contact a specialist.... 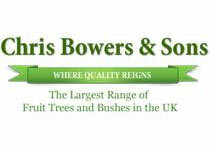 The Chris Bowers nursery has been cultivating fruit trees for over 30 years. Unlike some nurseries, our stocks are grown here on the nursery. We do not just buy in stock - the quality of our fruit trees is raised from the roots up and cultivated with expert knowledge and skill developed over many years. This expertise is handed down to you our customers. 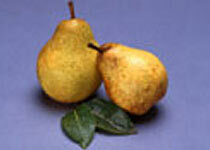 Planting fruit trees is an investment that will repay tenfold over many, many years. Buying quality from the start is essential to avoid the lingering disaster that can arise through purchasing poorer quality stock! We like to share our commitment and love of the subject with you and this is demonstrated in the range and breadth of the many hundreds of varieties offered. Other nurseries may claim to offer the 'largest range available' but we ask you to compare our catalogue to any other; it speaks for itself. And it is still growing! Each year we bud and graft new - and old - varieties of apple, pear, plum, cherry, gage and damson, not to mention nut trees and connoisseurs favourites like quinces, mulberries asian pear, quince trees and medlars. It seems to us that interest in these oddball or fringe varieties of fruit tree is increasing as each year we seem to sell more of them. 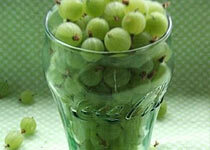 But aside from more specialist varieties you will of course find all your favourite varieties as well. A Victoria plum tree remains first choice on the wish list of many customers, as does the good old Bramleys Apple tree and a Conference Pear. New varieties with improved qualities are continually being introduced so you may want to take a look at improved cultivars that may be easier to grow. Excellent varieties such as the Jubilee Plum - from Sweden, or Red Falstaff apple tree which is self fertile; both spring to mind and are already rapidly gaining popularity. With so much work having been done on fruit tree stocks and forms, as well as cultivation methods, it is possible to grow your own fruit no matter what your circumstances. Even if you have no garden, a trio of supercolumns can easily be accommodated on a path or small patio; stepover fruit trees can edge a walkway or lawn, or be used to divide a kitchen garden or allotment. We haven�t forgotten those grand old orchard-sized trees either so if you have the space for traditional trees then you can still buy them on bigger-growing rootstocks for orchard, paddock, grassland or suchlike. Here we would be looking at MM106 for apples, St Julien for Plums, Gages and Damsons, Colt for Cherries and Quince A for Pears. Growing fruit trees against fence or wall is also very much in vogue so you will also find a vast range of espalier and fan trained trees of all kinds just perfect for a wall. And of course there are miniature stock subjects for apple, pear, plum, gage, damson and even peach and nectarine trees, smaller scaled-down versions of traditional bush fruit trees that can be grown as an intensive orchard or grown in pots on the patio. There is much to be said for both old traditional varieties and the best of the new cultivars that are introduced each year. With the former you have wonderful varied flavours and the prized sense of history that comes with varieties that may be two or three hundred years old or more. The new varieties often have that extra disease resistance or reliability and can produce really impressive yields with little knowledge or upkeep. No doubt you will have your own interests and our range is sure to cater for your needs regardless of your preference. Throughout our website you will find a lot of information and guidance which we have tried to display as conveniently and practically as possible. The subject growing fruit trees is quite large and maybe complicated to the uninitiated so we have tried to make the process of selecting your trees as easy as possible. But remember we are always keen to share wisdom and knowledge so if you need advise just e-mail us or give us a call. As well as fruit trees for sale of course you will find a whole range of soft fruits and fruit bushes, as well as blueberries, rhubarb, grape vines, kiwi vines, luscious strawberry plants and raspberry canes and pretty much everything you could desire! All with the same Chris Bowers commitment to choice - and quality. So share the inspiration - have a mouthwatering browse - and begin your plan now of what you would like to plant and start dreaming of your first tempting crop of juicy top fruits and berries - your dream is just a few mouse clicks away! Here at Whispering Trees Nursery we have in place very rigorous standards for the health, providence and uniformity of all our fruiting plants & trees. Our Nursery and the stock we grow is inspected and passported for health regularly by DEFRA experts [formerly the Ministry of Agriculture] and we also have in place our own stringent controls and inspection programmes to ensure our fruiting bushes and trees are the best, most disease free stocks available and truly beyond compare. We always propagate from certified stock where this exists and have the highest standards regarding providence and grading. If only the very best will do - as it should - then you can rely on a Chris Bowers fruiting plant to give the most exemplary results available. We firmly believe that only the very healthiest stock can and does produce vastly superior results - and it shows. 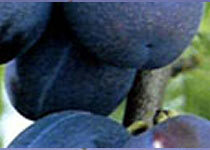 Discover a new standard of health and superiority - with a Chris Bowers fruiting plan. 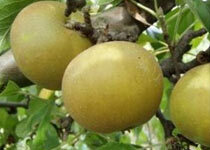 "3 years ago I bought 5 of your Supercolumn fruit trees and have had total success. All 5 trees producing fruit nicely! So I'd like another 5..." Mr.I.P. "Thank you for my Blackberry. I just had to let you know how impressed I was with the way it was packaged. I have been a keen gardener for 30 years and ordered many plants by mail order. I have never had a delivery like yours before, it was so well protected and in perfect condition. Thanks again" Mrs J.B.